As the men started eating dinner, Doug and Lenny listened intently as O’Grady filled them in on his recent travels to Germany, France and Belgium where he had been selling and racing thoroughbreds. Being a thoroughbred owner and trainer made an ideal cover for O’Grady as one of the members of the European intelligence and resistance community. O’Grady shared the latest news from Europe with them. 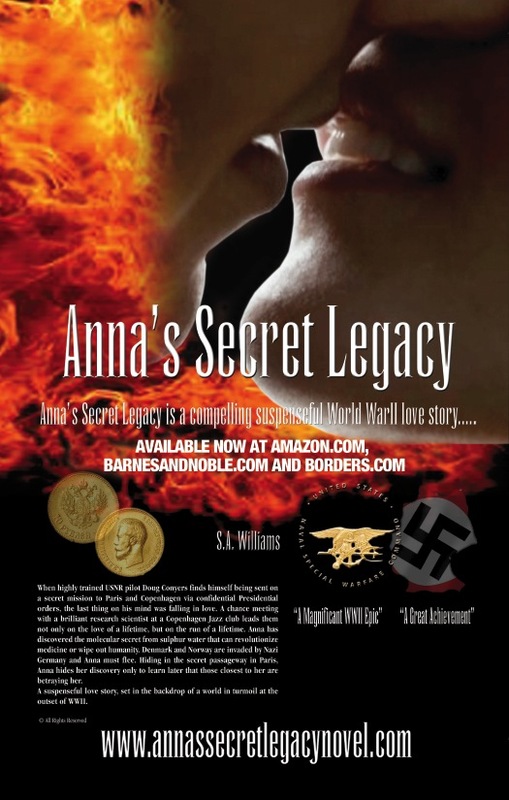 This entry was posted in Anna's Secret Legacy, Anna's Secret Legacy Blog, Annas secret legacy novel, Book Blog, Love Affair, Saratoga, spies, World War II and tagged Anna's Secret Legacy, Molecular Secret, Saratoga, Spies, Stem Cell Research, World War II. Bookmark the permalink.